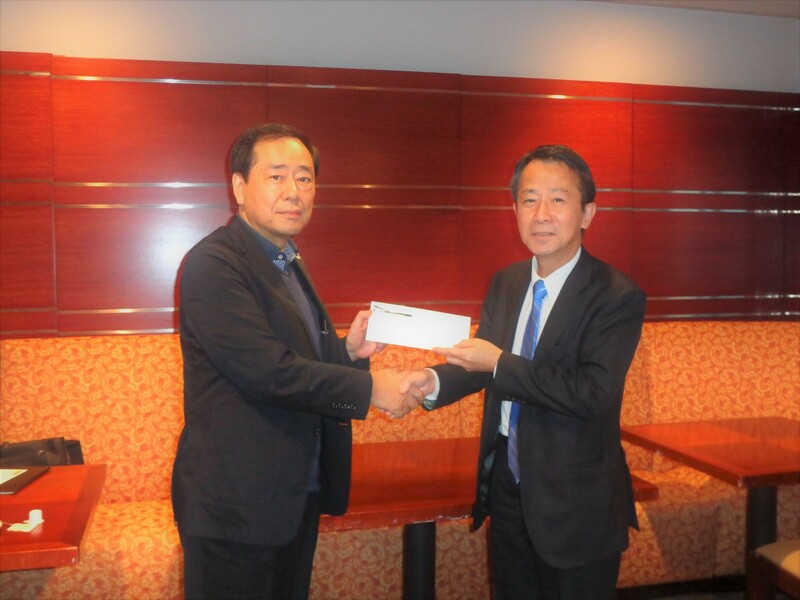 Part of donations collected during the 10th Circle Wind Concert was directly delivered to Mr. Sato of JCC Fund for its relief fund for the victims of Hurricane Harvey and Irma. The amount delivered is $2,115.22. Donation was delivered to Mr. Sato of JCC Fund on Oct. 27, 2017. Click the picture to get full size.